The Rice Lake RL20001 HE is a full stainless, welded seal S-Beam load cell available in capacities ranging from 500 to 20,000 (226.8 to 9071.9 kg). 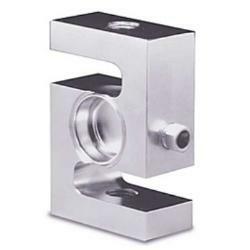 This model is featured in our ITCM HE products, and is ideal for the harshest tension mounting applications. NTEP approval from 500 to 5000 lbs. The Rice Lake RL20001 HE is a full stainless, welded seal S-Beam load cell available in capacities ranging from 500 to 20,000 (226.8 to 9071.9 kg). This model is featured in our ITCM HE products, and is ideal for the harshest tension mounting applications. NTEP approval from 500 to 5000 lbs. Similar to the Vishay Sensortronics 60063.